1. Communicate your displeasure with a student's misbehavior, but then be sure to tell the student what s/he should be doing. For example, consider: "Bill, please put the pencil down on the desk and pass your paper forward." Notice that the teacher told the student what to do. Often students continue to display inappropriate behavior when they have been told to discontinue it because they do not know what they should be doing. Now that you have given a direction, you can reinforce the student for compliance or punish him or her for noncompliance. Be sure to add emphasis to your directions by using eye contact, hand gestures, and the student's name. 2. Conduct a meeting to inform the students of the classroom rules. Explain why rules are needed. List the rules on the board along with the positive and negative consequences. Check for understanding. Review periodically throughout the year (especially soon after implementation of the program) in order to reiterate important points and consolidate the program. 3. Decide which rules you wish to implement in your classroom. Devise four or five rules that are specific and easily understood by your students. 4. Determine negative consequences for noncompliance (you will be providing a consequence EVERY TIME a student misbehaves). Choose three to six negative consequences (a "discipline hierarchy"), each of which is more punitive or restrictive than the previous one. These will be administered if the student continues to misbehave. 5. Determine positive consequences for appropriate behavior. For example, along with verbal praise, you might also include raffle tickets that are given to students for proper behavior. Students write their names on the cut up pieces of paper and drop them into a container for a daily prize drawing. Even if a student is having a bad day, there is a reason to improve...s/he might get a ticket and have a chance at winning the raffle prize. Others might receive notes of praise to be shown to their parents. Group rewards are also used. A marble might be dropped into a jar for each predetermined interval that the class as a whole has been attentive and respectful. When the jar is full, a special event is held. Some assertive teachers write a letter of the alphabet on the board for each period/activity of good group behavior. When the letters spell "Popcorn Party" (or some other activity), that event is held. 6. 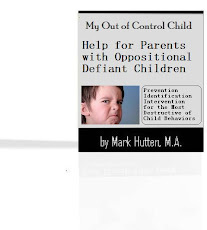 Dismiss the thought that there is any acceptable reason for misbehavior (biologically based misbehavior may be an exception). 7. Have the students write the classroom rules and take them home to be signed by the parents/guardians and returned (optional depending on age of students, chances of forms being reviewed and returned, etc.). Attach a message explaining the rules and requesting their help. 8. If kids don't presently possess desired classroom behaviors, teach them! This instruction involves more than just giving commands. Teach and role-play actions in order to promote responsible behavior. 9. Learn to use the "broken record" technique. Continue to repeat your command (a maximum of three times) until the student follows your directions. If directions are not followed at that point, the sequential list of penalties is implemented. Do not be sidetracked by the student's excuses. If the command is not followed, you might issue a choice to the student. This can be done after the first, second, or third request. Give the student a choice between following the command or facing a consequence for disobedience. If you find it necessary to implement the consequence, make it clear to the student that s/he made the decision as to which option would occur. The consequence should be administered quickly and in a calm, matter-of-fact manner. In the above situation, you would move through your list of negative consequences until the student complies. 10. Learn to use the "positive repetitions" technique. This is a disguised way of repeating your rules so that all students know what to do. Repeat the directions as positive statements to students who are complying with your commands (e.g. "Jason raised his hand to be recognized. So did Harold and Cynthia. Thanks you."). 11. Make use of proximity control; moving toward misbehaving students. Invite adolescents into the hallway to "talk" to avoid embarrassment in front of peers (and the negative behavior that will most likely result if you engage in public chastisement). 12. Recognize and quickly respond to appropriate behavior. This quick action will encourage the students to display the desired behavior more often. Be aware that some students may need to be reinforced quietly or non-verbally to prevent embarrassment in front of peers. 13. Use "proximity praise". Instead of just focusing on the misbehaving students, praise youngsters near them who are doing the correct thing. It is hoped that the misbehaving students will then model that appropriate behavior. The comments can be made specific and obvious for younger students. More subtle recognition is required for adolescents.